This post about how to start affiliate marketing was updated as of January 2019 to ensure accuracy and relevancy. It was 11pm on a dreary night in Bangkok. It was about a week before I’d have to flee the country due to the crackdown, and I already had to leave my apartment due to gunfire and grenades going off constantly for 48 hours. (Seriously, true story). My (now) good friends Derek and Clay had an apartment across town that they’d just moved into. Despite only knowing them for a brief period of time they let me come crash for a few days while I figured out my next steps. I’d hardly done anything during the previous year to monetize Location Rebel (then Location 180). But when this was released, I figured “why not?” and wrote a review talking about how cool the program was. I went down the street to grab a coffee and when I came back and refreshed my inbox it was 11:05 – 5 minutes after the sale began. I refreshed my email as soon as I got back, and I couldn’t believe my eyes. In a matter of 5 minutes, I’d made $500. I’d never made money like this via my website before. But it was that moment that I truly understood the power of building an audience and monetizing it through affiliate links. In this post I’m going to walk you through everything you need to know to start affiliate marketing on your blog, even if you’ve never made a cent online before, don’t have a huge audience, or even if you haven’t started to build your website. We’ve obviously got a lot of work to do, so let’s get going! Affiliate marketing is a way for you (the affiliate) to earn a commission for recommending products or services to your friends or readers. If they buy the product, you get a commission. It can get much more advanced, but in this post, we’re just going to start with the fundamentals and get you to the point where you’re ready to make your first commission. There are a lot of different ways to track affiliates these days, but all are based on someone clicking your special tracking link. The most common and basic type of tracking is via a cookie. When an affiliate link is clicked, a small file called a cookie is stored on the users computer. Then they buy a product, the merchant can see that they were referred by you. Step 8: Rinse and Repeat! We’ll cover all of these steps (and more) in detail in this post, but it’s important to understand the general process from the beginning. One of the things I love about this type of monetization is that affiliate marketing for beginners is actually really easy to jump into (even without a bunch of technical knowledge). Then as your site grows and your marketing skills grow you can begin to learn more advanced strategies and tactics. The amount you can make will vary wildly – it honestly falls somewhere between zero and millions. Your income will be directly related to the type of offers you promote, how much traffic you get to the site, and your grasp of other online marketing skills like email marketing and SEO. But in this post you’ll get a pretty good sense of the earning potential from different types of promotions. However, just because you can promote anything, doesn’t mean you should. For instance, for me to try and advertise for dumbbells on Location Rebel probably isn’t the smartest thing, because 99% of my audience could care less about them. However, for me to promote, say, WP Engine a WordPress hosting company – makes much more sense, since almost every one of my readers either has or has considered starting a website. And just recently, we promoted Streak as an awesome tool for freelancers to use to monitor leads right from their inbox. Once again, that’s something that speaks directly to the audience. Will the vast majority of my readers benefit from using this product? Is the buying process easy? If I answer yes to each of these questions, then it’s probably a good fit and worth promoting. Action Item: Make a list of products that you use that you think your blog audience would benefit from using as well. Try to think of as many as you can. And remember, these can include complementary products as well. If you write about travel, for instance, you can include tons of complementary products like luggage, headphones, backpacks, and clothing too. Ok, you should have an idea of which products you might want to promote – now it’s time to decide which of those are the best fit for you and your audience. Each of these has pros and cons, and we’re going to look at those now. Physical products are probably the easiest thing to promote for one reason, and one reason only: Amazon. Amazon has the world’s largest affiliate program, and once you sign up, you can get a link for any product on the site, and earn a commission on it! Check it out using this example from my site Breaking Eighty, a golf bag. So you see at the very top there I have my Amazon Associates links. What I do is type the item into the the search box and then click on the type of link I want (usually text). I type ‘golf bag’ into the search box. And then, once I’m on the page of the bag I want to highlight in my review I click ‘text’ from the Get Link bar at the top. You’ll see that there will be a store and tracking ID (I’ve blocked these) and then in the text box, a shortened link that will go right to this golf bag. Anytime someone clicks that link, their cookie is recorded in Amazon as coming from me, so when they buy something I will get a small % of commission. Commission rates on physical products are notoriously low, due to all of the factors that go into selling them (manufacturing, wholesaling, shipping, etc). And in 2017, they made a few changes to the rate structure. Here’s a look at part of the rate table today. You can check this link for a full listing of the rate information. So you can earn a 4% commission on a lot of stuff, as high as 10% on luxury and fashion, and as low as 1% on video games. Even if you’re selling thousands of items a month, you’re still making less than a 10% commission. Because of this, I know a ton of people who make a little bit of money off of Amazon affiliate websites, but few who make thousands. Average Physical Product Commissions: 1-10%. Anything over 10% is very good. Signing up for Amazon’s affiliate program is an excellent starting point. Because the chances are good you already use Amazon, are familiar with it, and your readers are too. You can sign up and get links immediately from the Amazon Affiliate program right here. If you want to find affiliate programs for specific companies, I would start with Flex Offers. 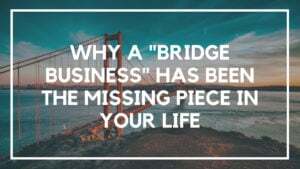 Many of the largest companies work with them (for instance many of the golf companies I work with), and building a relationship with a larger affiliate network can lead to more opportunities that you might not have found otherwise. Amazon is tough because they have a 24 hour cookie. That means that if someone clicks your link, and then buys anything, anytime within the next 24 hours you get the commission. This is an extremely short period of time. Compare it to some other affiliate programs where the time frame can be it 90 days or more. For instance, when I’m promoting golf products for Breaking Eighty, I’ll usually earn a 6.5% commission based on how many items I refer on average each month. I could join the Golf Galaxy affiliate program, which pays out 6-8%, but it has a 45 day cookie. So if someone clicks the link and then buys anything over the next 45 days – I get a commission. This makes it much easier to make sales. The next type of product you can promote is an information product. This is usually something created by a blogger, marketer or author that teaches you how to do something. Chris’ Empire Building Kit is a great example of an information product. As is Location Rebel Academy. Generally, it can be a little bit more work to become an affiliate for these products because often the creator is a bit more protective of who they let market the products. There’s also no central place you can go to join like you could with Amazon. Usually, you’ll need to talk to the author directly or look for an “affiliates” page on their product site. I’m pretty selective about the products I personally promote, but each year I make tens of thousands of dollars marketing information products. The commissions are much higher than physical products which is why I like promoting them so much. Information product commissions usually range from 30-50% – because the costs of production are so much smaller. When I promote information products I usually look for high priced products created by people who are good at marketing. Why? Because I send traffic to their funnel, and they convert the sale. My work is relatively minimal. To make things even better, I’ve seen the results people have had from the program, and they’ve been remarkable. So if you have a course or product that you’ve personally used and seen a lot of success from, check and see if there’s an affiliate program – because if you’re going to recommend it anyway, you might as well get paid for it! The third type of product you can promote is a service. This is another big one for me, because of the nature of what I write about here. My business doesn’t function without hosting, a theme, email software etc. So it can be easy to make a sale on services because if I personally love and use them, there’s a good chance you will too. Over time that can add up to be a nice extra bit of income each month. If you have a website related to online marketing, blogging, or business, there are fortunately a lot of really solid affiliate programs out there for different services. I wanted to share a few of my favorites so that you can get a sense of what an affiliate program entails, and start to get a feel for what might work on your site. BeRush – This is the affiliate program for the SEO research tool SEMrush. I use this religiously on Location Rebel, and their affiliate program gives you all the resources you need and pays a recurring fee of 40%! Good luck finding anything that compares with that. Here’s a review of the service. Bluehost – On top of being my favorite web host for brand new bloggers, Bluehost starts out paying generous affiliate fees of $65 for every new sign up you refer. Their affiliate managers are fantastic, and I’ve had great results with their service. Sumo – I use Sumo to help grow my email list, and they’ve offered some of the best affiliate promos I’ve ever seen. Karol their affiliate manager is as good as it gets, and always responds right away. Here’s my review of the service. Most new bloggers assume that advertising or banner ads are the best way to monetize your site. They often get started with Adsense because it’s easy. To be honest I can’t remember the last time I saw an Adsense advertisement – thank you Adblock! But seriously, not only will these make your site hideous, you have to have obscene amounts of traffic to actually make any real income. Selling ad space to sponsors is almost as bad. Daily visitors divided by 10 is the dollar amount you can make per month on an ad. If you get 1,000 visitors a day, you divide that by 10 and see that you can charge $100 a month for each ad on your site. Now keep in mind this is just a rule of thumb, and depending on your niche it could be substantially higher or substantially lower. When you’re just starting out, $100 a month could seem pretty good, but it takes a lot of work to get up t0 1k visitors a day – and if you get that many, you’re much better off monetizing via affiliate ads or ads for your own product. For instance, if had ad space on Location Rebel, I’d be much more likely to promote an affiliate product, or one of my own products than sell the ad space. As you’re getting going, there are three specific types of products I recommend starting to market. These are ones that will give you the best chance of success in growing your business and actually making commissions early on. Ok, now the most important part. By now you should have a good sense of what affiliate marketing is, have an idea of what products you want to promote and know how to get your affiliate links for them. But if you don’t know how to properly promote them, it doesn’t really matter now, does it? Nope. In this section, we’re going to look at some of the easiest and most successful ways to promote an affiliate offer. This is probably the easiest thing you can do right now to bring in a few sales over the coming weeks: create a resource page. My resources page is called “60+ Essential Tools for the Location Independent Entrepreneur”. Taking the same concept and going a step beyond is my book Location Rebel Arsenal. Want to grab the LR Arsenal and check it out for yourself? Click here. I took the same idea, created a well-designed email, and then gave it to people after they joined the interest list for Location Rebel Academy. This does dual duty in making affiliate sales, as well as growing my email list. They key to a successful product review is honesty. I’d generally only review things you like, but if there are drawbacks or little things that bother you – be upfront about them. Most people know that no product is perfect, so if you set expectations and are open with them, there’s a good chance they’ll buy it anyway. I’ve done this with a lot of success on my golf site. Here’s a review I did for a rain suit that makes 4-6 sales per month. I said why I like it, I discussed the downfalls, and then made it clear why I’m ok with them. Here’s another review I did for Sumo, one of my favorite marketing tools. And another I did on Bluffworks, an awesome travel pant that I love for trips. Tutorials are easily one of the most effective strategies for driving affiliate sales. They can take a long time to put together, but it’s also totally worth it. So what is a tutorial exactly? Simple, you create a post that shows people how to accomplish something step by step – you then make a product or service one of the key components to success. I’ve done a couple of these. With my How to Build a Niche Site post, I talk about all the steps you need to take to get a niche site up and running. So that includes some of the tools I know and love like Sumo and ConvertKit. I have another post, How to Set Up a Blog, that brings people step by step through the process using Bluehost. That’s another product I know and use. Readers can go through that post with no website at all and by the end have a bare bones WordPress site up and running. I make hundreds of dollars a month off of both of these posts but I know they are also really valuable to readers and we make sure to update them frequently. Here’s also another video shows you how to easily start a blog. These can be another really effective strategy for making affiliate sales. It works well when there are either two products that are very similar and people are thinking about one or the other. A great example would be comparing the PlayStation 4 vs the Xbox One. A personal example is a post I just did about two competing golf technologies Game Golf and Arccos Golf. They both do variations of the same thing, but no one had played as many rounds with both systems as I had. So I created a definitive post which has sent a lot of traffic, and a few sales, my way over the last couple weeks. Another type of comparison post that works well is when there are a ton of options, and people don’t know what to choose. Web hosting is a great niche for this. This is probably the most effective (and most advanced) method we’ll talk about for making affiliate sales: your email list. If you’re getting to the point where you have a sizable list, you could create a series of emails to promote a product. This works best if it’s an information product with relatively high commissions. Over the years, I’ve made a lot of affiliate marketing mistakes, so check out that post and make sure you don’t fall into some of the same traps I did as you’re getting started with your affiliate promotions! If you follow along with the strategies above, you’ll be making affiliate sales in no time off of your blog. To improve your chances even more, I’ve got a couple more tips for you. Affiliate links are generally pretty ugly. They’re long links, that often go to a secondary domain, and are pretty clear that they’re an affiliate. Download the plugin Pretty Link to make your links look much more friendly. Most major affiliate programs for physical products or services will have an affiliate manager, whose sole job is to help you generate more sales. You’ll need to prove to them that you have some potential, but do your best to get them on the phone before you start doing any major promotions. They’ll be able to give you a good sense of what works, what doesn’t, and potentially even give you a boost in commissions. One phone call nearly doubled my commissions for one hosting company in particular. So this post gives you a ton of information on getting started with affiliate marketing. But, I’ve written a lot more about this topic on the blog — and shared some of my best advice. How to Make $500+ a Month in Passive Income with a Niche Site – Creating a niche site that makes $500+ a month is totally achievable, here’s how to do it. How to Build Your First Online Asset in 48 Hours – Want to get up and running this weekend? This is how you can get a website up that will serve as a base for your affiliate marketing site. How to Create a Membership Site in 48 Hours (Without Technical Expertise) – Membership sites are an awesome way to build a niche site where you can tap into some of your affilaite marketing expertise. And I think membership sites are going to crush it in 2019. Three of the Best Affiliate Products for Beginners – These are the three affiliate products that I thnk are the best places for new affiliate marketers to start. 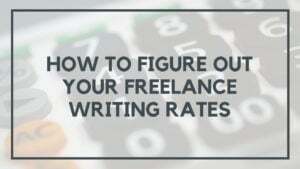 Freelance Writing – The easiest way to start a business online, start building some skills, and building confidence in your ability to successfully do something like affiliate marketing. Niche Sites – Once you get the basics of affiliate marketing down, you can really hone in on repeating the process and creating niche sites on all sorts of different topics. Blogging – A huge component of every good affiliate marketing site is the blog, take that skill set and translate it into another business. Physical Products – Want to make a physical product that ties into your niche and then sell it online? If you want to work at it, there’s a ton of opportunity here. 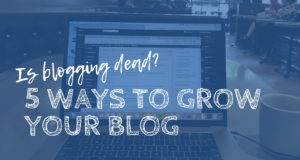 I know that was a lot of information, but if you’ve been struggling with figuring out how to start monetizing your blog, the strategies above are a fantastic starting point. It’s how I made my first dollars online, and it has the potential to create a win/win for both you and your readers! Want to take your online business and affiliate marketing more seriously? That’s why this site exists, to help you build an online business that lets you do more of the stuff you enjoy in life. What questions do you have about affiliate marketing?? Share them with us in the comments, and I’ll do my best to answer every single one. Hi Sean. Thanks for this great resource. I’ve been very conflicted about affiliate marketing for a long time. (I wrote about some of my concerns recently.) My concern is that the nature of the conversation between you and your community can change because of it. I’ve never found a way to rationalize using affiliate marketing for my site without being concerned with compromising my message, but at the same time, you’re right that it does confer lots of benefits. What are your thoughts on this? Mike I totally agree, and I think there are a few things you can do to overcome this. One easy option is to just provide a non-affiliate link as well for people who want something totally unbiased. But I get it. Travel bloggers in particular have a reputation for being notorious about just trying to get free stuff or promote easy products to continue to travel – but I don’t think that’s the case for everyone. Look at people like Pat Flynn. He makes tens of thousands of dollars every month via affiliate revenue, and I dont think many people would ever question his motives or genuineness in that regard. Hi Sean. All good points. Anyway, lots to figure out here (and I’ll read up on Pat Flynn) so thanks! Some brilliant information there Sean as always, I’m not at the stage yet but i have bookmarked this so i can follow along when i am at the stage of monetisation of my blog. -Look at the bottom of the home page and see if they have a link that says “affiliates”, “partners” or anything like that. I have no idea why it did this, but I guess if you are going to do a review of an information product, check the competition to see what other people have done already and do something better. You could wind up ranking for something with relatively little SEO work. Nice! Personal reviews definitely go a loooong way when trying to drive affiliate sales. People are smart, and if you’re trying to BS them they can tell. I used to rank really well for “Empire Building Kit Review” which didnt send a whole lot of traffic, but it did send quite a few sales. Maybe it works with a blog. It certainly doesn’t work without a blog; at least, not for me. It could totally work on sites that aren’t blogs if approached the right way. If you build a really engaged social media audience and become renowned for the value you provide, you could absolutely use that for affiliate products, too. Moral of the story? Be honest and true to your audience! But those definitely are pretty transparent, and especially with other industries like credit cards it’s a very fine line. I think it really depends on what type of site you’re trying to build. For me, I don’t recommend all that much stuff on Amazon, and the payouts are low that it doesnt make a whole lot of sense to spend 8 hours on a 3,000 word tutorial blog post to try and sell a $10 book and make $.40 on it. There are people who have success with Amazon, but those are usually the people using more advanced things like datafeeds that can end up looking really spammy and inauthentic. I was reading an article some months back by an affiliate marketer who said that some of his readers have told him that they always make sure they click to products through his site so that he earns the commission. If the content’s good and you’re open about the commission, readers will actually help you earn it if they want to buy what you’re promoting. Newby here! I first knew about affiliate programs when reading Chris G book where he mention his affiliate program but never really understood what was all about. Great post Sean full of new ( for me ) and useful information!! Hi Sean, a long time reader here. I am tinkering at the edges to start an affiliate website, did my homework about keyword research and product selection etc. but I am still unsure if I will be able to pursue the visitors to buy the product. Appreciate tips or pointers that I can use to boost my confidence. I have a couple of blogs I’d like to turn into affiliate sites. I can’t seem to even get started with CJ (Commission Junction). When I try to join a vendor, I automatically get declined. I haven’t even started, so I have idea why I may be “blacklisted” automatically. Is there a secret to joining vendors on CJ? -How much time did you spend on your application? Did you just gloss over it or really answer the questions in detail. -Is it in a related industry or something totally different? -Try calling the affiliate manager – often if you do that they can get you approved manually. Thanks for putting this together it’s a really awesome write up. Do you have a method for finding new niches to dive into? What is your preferred method of driving traffic? Thanks! I can see some new FAQ and testimonials have been added to Location Rebel. Thanks for that quick response. Is there a way through which I would be able to ask some questions in private? John, man you’re quick! Just added those this morning. Shoot me an email at [email protected]! Interesting read, your article. I am a relative Newbie at AM and would like to get some real traction in the online marketplace. It is not an easy endeavor. The difficulty for me is getting traffic to my site. I have a new blog site now dedicated to Internet and Affiliate Marketing. https://www.google.com/webmasters/tools/mobile-friendly/. I hope that url was alright to post inside this message, I have no affiliation or commitment to that site). I already signed up for affiliate in word press. How can i get the link? that will bring the user to the WordPress site accounted to me? great written steps and for me you have covered up all I wanted to know. Thanks for all the info and that you freely give away a lot of advice. Thank you for this awesome resource. I will do the steps and work on it. Thank you for this awesome resource. I will do the steps and work on it. I have deal for the affiliate marketer sell my product on 30% commission. Thanks Sean for your great post. I wondering about Solo Ads, which case and which niche we should use Solo Ads? Could you share me your advices please? I want to use that way to build my list. However, I tried it some time but without success. Someone else is working with them? There are any numbers? I don’t know, believe it or not. Great post Sean full of new and useful information! Glad you got some value out of it! i was create a affiliate marketing account and i don’t understand how to start the work&how to create the links???? Hi Sean – great post! I am a solopreneur and using Wix.com for my website. I would like to utilize affiliate marketing to jumpstart my sales. But with the Wix platform, it’s impossible to incorporate an affiliate system (their helpdesk didn’t answer why it won’t work). Would it make sense to create a separate landing page with a different CMS and different url in order to do affiliate marketing? The downside for SEO would be that I wouldn’t be driving traffic to my own site. Other than the affiliate marketing thing, Wix has been fine and I’m not that excited to switch my entire site to a new platform. Does a stand-alone landing page for affiliate marketing make sense or am I just being crazy? 1. Associate only with good affiliate programs that offer products your visitors will actually want to buy. 2. Look for affiliate programs that not only pay high commissions but that also provide actual value to their customers. 3. Don’t link to affiliate websites that are scams. Word will get out and you will lose credibility with your visitors. 4. Write content that is related to the affiliate program you are offering. Great post. This post gives good insight on what we can gain from A.M. As a new marketer, we want to read positive things like this to keep us motivated. Thanks for the ultimate guide on AM !! Thanks for this great resource! 🙂 Great tips and easily broken down for newbies! Wish I would’ve found this post years ago. Thanks Ryan! It’s when the user clicks on the link. Cookie isnt set until the aff link is clicked. Sean. Wow so much information to take in, really helpful, It’s nice to know that blog owners have many ways to earn extra income while they blog about what they like. Keep up the great work. I really enjoy reading this long full of information post. Will definately come back soon! Thanks! I usually trying for long days for learning affiliate marketing and earning but still now I am struggling for that , Your writing is pretty helpful for that learning. Nice breakdown of what and where to start affiliate marketing. I’m inclined to start service affiliate marketing as I’m starting to play around with my marketing tools myself. Major thankies for the forum. Great. I have seen someone not use a website or a blog. They are posting Amazon links with their coupon code. The reviews are in the link and she adds her advice to the post. She posts about 20 different items a day. Thoughts?! Wow! I just discovered your great piece through a search on Google. I appreciate the way you layed out everything step by step. Value packed thanks so much. Bookmarked for reference!